We're one step closer to Star Trek becoming reality. Microsoft-owned Skype promised that real-time translation tools were coming, and now they're here. Skype Translator is now live for all Windows desktop users. If you’ve ever wanted your German cousin speak to you in his native language while you speak to him in English, now you can. 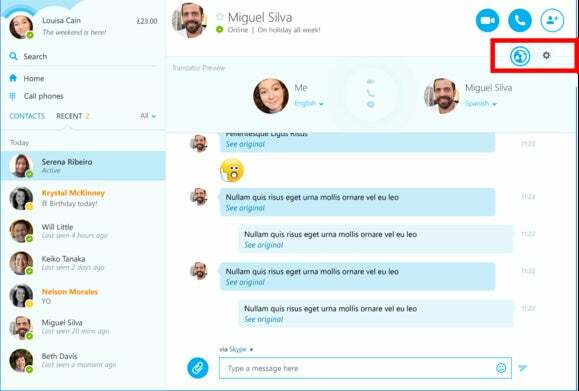 Skype Translator currently offers voice-to-voice translation for seven languages including English, French, German, Italian, Mandarin, Portuguese, and Spanish. An additional 50 languages are available for translation via instant message. Skype Translator in Skype for Windows. 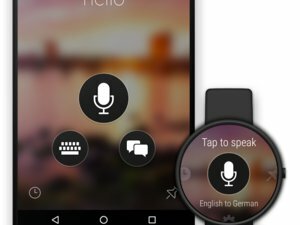 Since Skype Translator’s launch as a preview one year ago, calls using the feature have increased 400 percent, according to Skype. The most popular voice-to-voice translation pairing so far is French to English. To use Skype Translator on Skype, first make sure you’ve downloaded the latest version of the Windows desktop program. Click on the contact you’d like to talk to; then click the globe you see in the conversation panel. 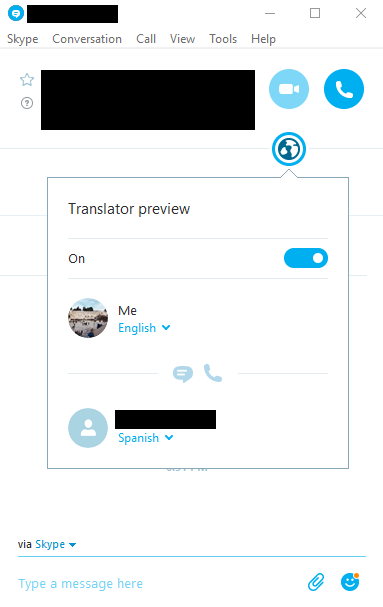 If your contact is registered in Skype as speaking a language other than English then Translator will automatically turn on. If not, you can still activate Translator by clicking the language drop-down menu under your contact’s name. Then just switch the language to whatever they will be speaking to activate Translator. Why this matters: Real-time translation of voice conversations is a massive leap forward for computer translation technology. Now it’s in the hands of anyone with a Windows PC who needs it. Skype Translator certainly won’t be perfect anytime soon, but it is a useful tool for those who need it. Plus, it’s just one more step closer to the full realization of a Star Trek-like future. Still no flying cars.